Vertical and horizontal Spooling Machines and a comprehensive range of coil winding machines that are used for layer winding of solenoids and bobbins. The range includes different types of machines having diversified specifications for winding speed, layer length, layer height, winding tension, pitch setting, coil weight etc. This bobbin is used to aid the coiling and packing of wire and strand. After winding the bobbin is dismantled for removal of the coil and packing. The bobbin is then easily reassembled with bolts to be reused. Removable parts allow for use with coils of varying width. Our organization specializes in offering a compact range of BB Block that is fabricated with calliper type pneumatically operated disc that helps to stop the machine once the breakage occurs. Qualified team members make sure to use qualitative raw material that is obtained from the credited vendors of the market. 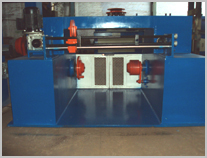 In addition to this, these blocks are available with us in diverse customized options as per their needs and demands. Multi Bobbin Winding Machines are automatic winding machines designed to wind coils requiring complex wind, wrap, cut & routing functions. These machines are Equipped with AC Servo motors for axes & for spindle control provide outstanding performance, maintenance free operation & higher productivity. 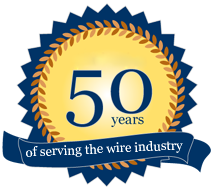 Every aspect of the coil winding process is monitored and controlled to produce the most efficient coil possible.